Many people assume that Grandparents Day resulted from lobbying by florists, greeting card companies, and similar businesses. This idea could not be farther from the truth. 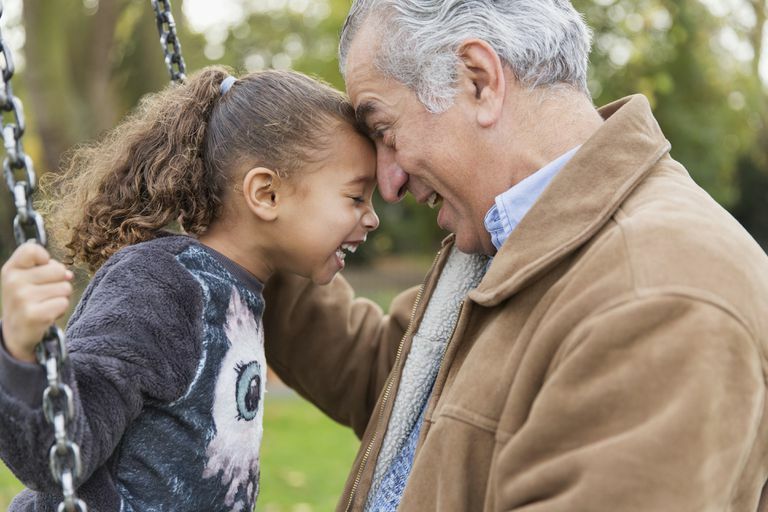 Grandparents Day is a day for celebrating the connections between the generations, and its origin was decidedly noncommercial. The holiday has remained fairly true to its roots. The roots of Grandparents Day go back to 1956 and a West Virginia mother named Marian McQuade. While helping to organize a community celebration for those over 80, she became aware of the many nursing home residents who were forgotten by their families. She wanted a holiday to bring attention to these forgotten individuals and to honor all grandparents. In 1973, West Virginia became the first state to have such a day. McQuade and others then shifted their efforts to the national level, achieving success in 1978. Grandparents Day is a real national holiday or observance, celebrated each year on the first Sunday after Labor Day, although it is not classified as a federal holiday. The purpose of the holiday, as stated in the preamble to the statute, is "to honor grandparents, to give grandparents an opportunity to show love for their children's children, and to help children become aware of the strength, information, and guidance older people can offer." According to a news article from the Washington Post, florists and greeting card companies were overjoyed by the creation of the holiday. The Society of American Florists planned to spend $200,000 promoting the holiday. Hallmark predicted that by 1983 Grandparents Day would be the sixth biggest holiday for greeting card sales. The florists and greeting card companies shouldn't have bothered. Grandparents Day isn't listed on a ranking of the most popular occasions for greeting card sales. It is outranked by Christmas, Valentine's Day, Mother's Day, Father's Day, graduation, Easter, Halloween, Thanksgiving, and even St. Patrick's Day. In the floral industry, Mother's Day, Valentine's Day, and Christmas continue to be the major sales generators. That probably would have made McQuade very happy. According to the website of the National Grandparents Day Council, McQuade refused all royalties and donations associated with her efforts and spurned overtures from Hallmark. Today many families celebrate Grandparents Day with family get-togethers. These need not be elaborate. A simple meal and time to visit will please most grandparents. Grandparents Day is also a great time to share some family stories or look at old pictures. Board games, card games, and puzzles are fun low-key amusements. If the family would like an outing, a few venues, mainly museums, host annual Grandparents Day celebrations. It is true that some families celebrate by giving gifts to grandparents. It is equally in keeping with the spirit of the holiday for grandparents to give gifts to their grandchildren, especially gifts that celebrate family traditions. Maybe the main reason that Grandparents Day has escaped commercial exploitation is holiday burnout. Maybe time-poor parents simply don't have room on their calendars and in their brains for another holiday. If that is the case, grandparents still shouldn't let the occasion go by unnoticed. Most of the younger generation will be happy to participate if they don't have to plan. Remember that one of the purposes of the holiday is to give grandparents a chance to show their love for their grandchildren. If it doesn't work out for you to see your grandchildren, Grandparents Day is a great excuse for you to phone them, text them, FaceTime or Skype with them, or even write them an old-fashioned letter. Of course, you could also send them a card.